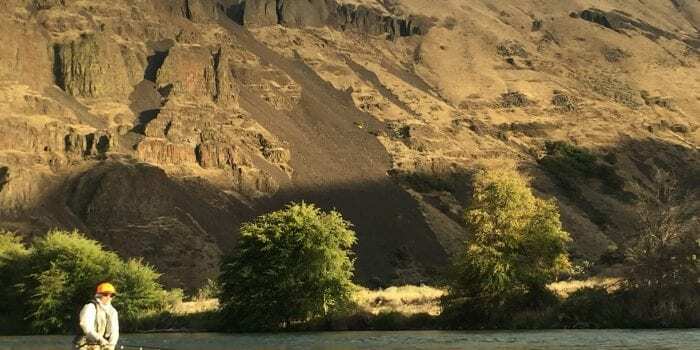 The month of June brings blooming dogwoods, blossoming flowers, the worlds largest run of American Shad to Oregon’s biggest waterways and a bit of fly fishing craziness right near Portland, OR. The Columbia River which cuts the boundary line between Washington state and Oregon combined with Portland’s cargo way the Willamette river are home to the anadramous American Shad. Transplanted from the east coast’s Delaware river in the 1800’s these fish now spawn in the cool waters in the heart of the NW and thrive. That’s where Water Time Outfitters, Inc. guides Rob Crandall and Todd Rettmann connect anglers via the thin arc of bent graphite fly rods to the wild acrobatics of the fighting shad. A member of the herring family Shad are plankton feeders that return from the Pacific Ocean each spring to spawn in the Columbia and Willamette Rivers. 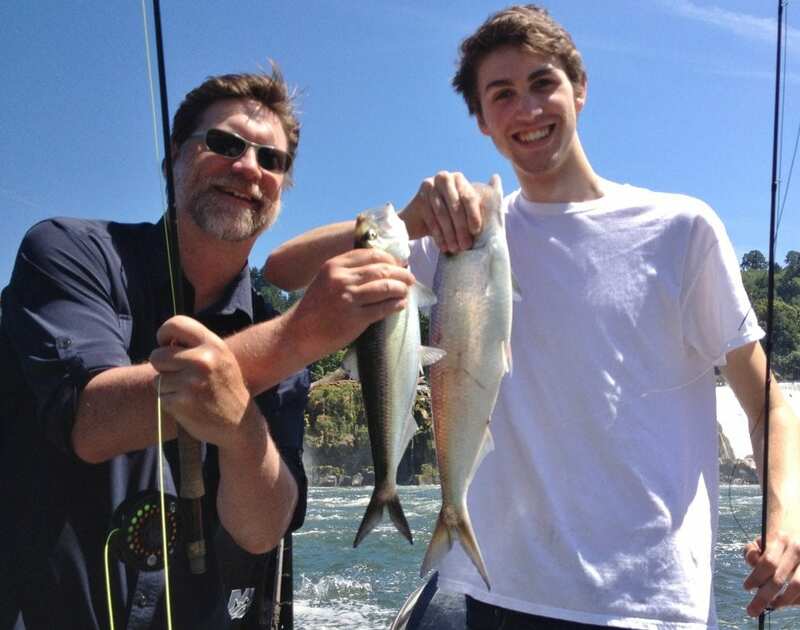 These fish range in size from 1-6+ lbs with the Oregon state record fish weighing in at 6 lbs 6 ounces. These fish travel in schools and when you find one you often find many more! Water Time Outfitter guides fish for shad with fly rods for the ultimate shad experience. These fish readily eat flies and using a sinking tip fly linesanglers can find shad traveling 5-6′ beneath the surface. #5 or #6 weight fly rods are preferred but some anglers use up to 8 weight rods. 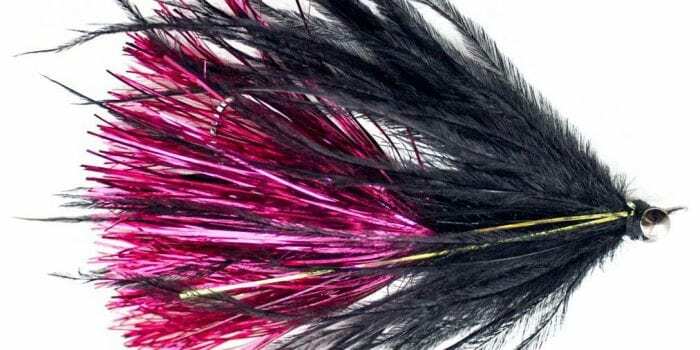 Shad are not especially leader shy so 8-10lb tippet works great. Water Time guides encourage anyone to try for shad- “These fish are great fun and even brand new anglers will find success!” says, Rob Crandall owner of Water Time Outfitters. Find shad by locating current lines and seams. Best shad action is usually on the edge of heavy current where shad follow the seam between fast and slow. Oregon’s famous Rose Festival is in June, flowers are blooming in the Rhodedendron gardens and the shad are thick! Come join us on Oregon’s favorite waters and enjoy the battle of the shad!